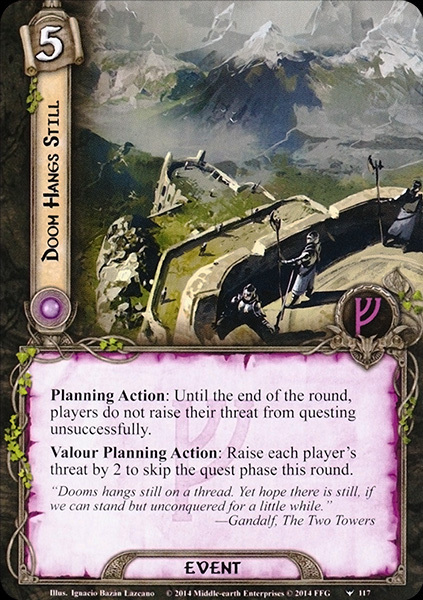 Planning Action: Until the end of the round, players do not raise their threat from questing unsuccessfully. Valour Planning Action: Raise each player's threat by 2 to skip the quest phase this round. "Dooms hangs still on a thread. Yet hope there is still, if we can stand but unconquered for a little while."